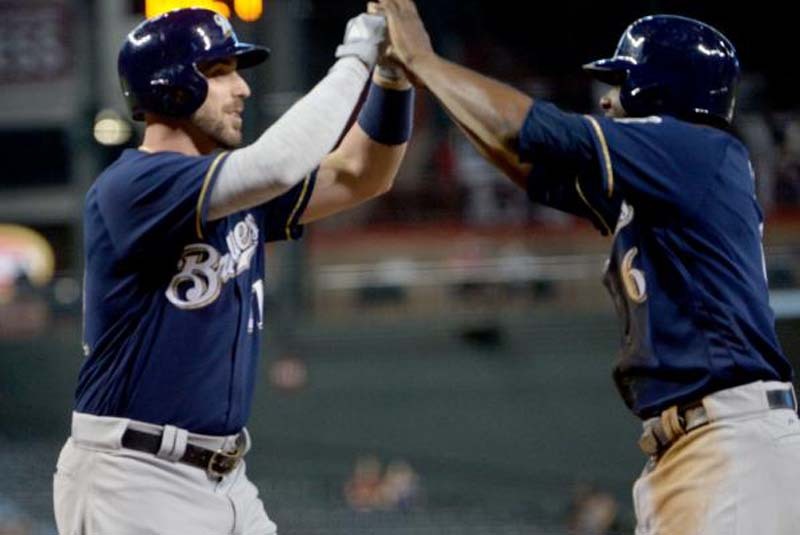 If the Milwaukee Brewers want to win the National League Central and make the playoffs for the first time since 2011, they will need to find a way to get past the Chicago Cubs. The Cubs have had the Brewers' number this year, taking seven of the eight meetings between the teams. The season series resumes Monday evening with the opener in a three-game set at Miller Park. The Brewers will also have to figure out Cubs left-hander Jose Quintana (6-4, 4.20 ERA), who has been a thorn in Milwaukee's side since before the Chicago White Sox shipped him across town last winter. Quintana is 4-1 with a 0.63 ERA in six career outings against the Brewers and he has dominated them this season, pitching two shutouts while allowing just five hits. "In the last two years, he has pitched very nice games against us," Brewers manager Craig Counsell said. "We've looked at it. We'll examine some different ways. But if you look at the games, he has made good pitches against us. Our roster hasn't changed significantly, so it's the same matchups." Both teams come into the series having missed out on a chance at weekend sweeps with Sunday losses. Milwaukee pummeled Philadelphia on Friday and Saturday with 24 runs before falling Sunday afternoon. Meanwhile, Chicago missed a chance to move past Milwaukee into first place with a loss to the Pittsburgh Pirates. The Cubs had won eight of their last nine and 11 of 13 before the Sunday loss, but they still roll into Milwaukee having won five consecutive series. With 11 games to go between the divisional rivals this season, Cubs manager Joe Maddon isn't looking beyond the series opener. "We've done decently against them this year so far," Maddon said Sunday. "The significance is Monday's game, (and before) which we have to take care of Sunday first. "I think the best way to approach when you're playing really good teams within your division is to not get too far-sighted. This is the micro time, man. It's about Monday. Then it will be about Tuesday. Then it will be about Wednesday." The Cubs will go against Brewers right-hander Junior Guerra (3-4), who took the loss his last time out but only allowed three runs in six innings. He has a 2.54 ERA in his last five outings. "He has been solid," Counsell said. "He has given us a chance and really put up a bunch of zeroes for the majority of his starts. He keeps throwing the ball better. The velocity keeps going up. "For someone who didn't start the year in our rotation, he's certainly cemented a spot." Guerra has fared well against the Cubs in his career, going 1-1 with a 1.80 ERA in seven appearances, including a 1.61 ERA in four career starts. He has faced the Cubs once this season, taking the loss on April 28 at Wrigley Field despite allowing just one run and three hits and striking out six in six innings.